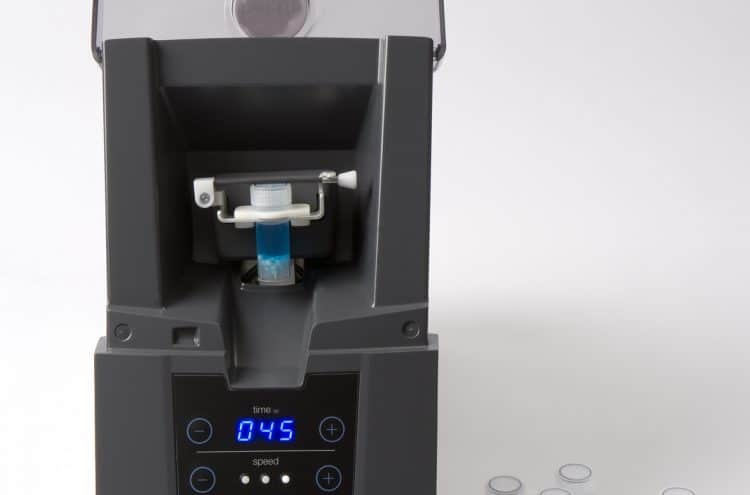 Minilys is a compact and flexible tissue homogenizer to meet particular sample preparation needs for all laboratories working with biological samples. 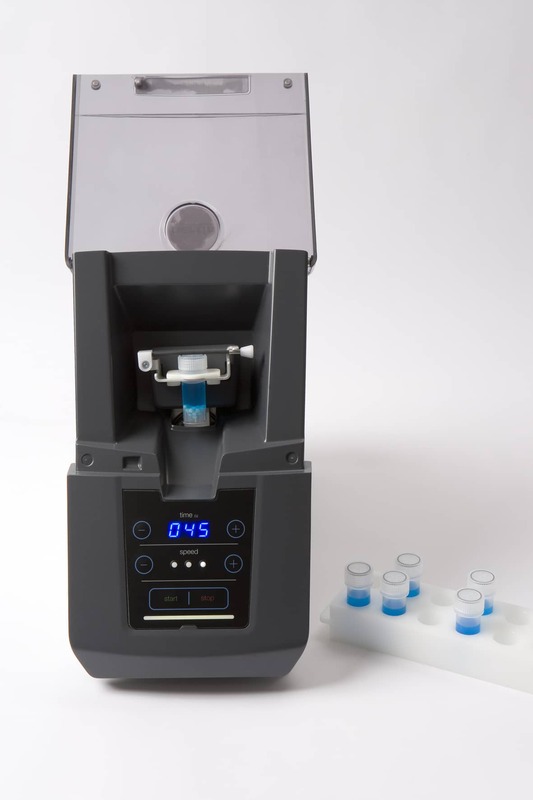 Especially designed to offer optimal grinding, lysing and homogenizing efficiency, Minilys is capable of handling 3 x 2mL/0.5mL tubes or 1 x 7mL tube to process any type of samples. Its manual but not screw-in locking system makes Minilys an easy-pick-up laboratory instrument. 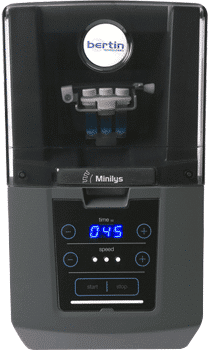 Affordable, Minilys offers the best personal homogenization solution. 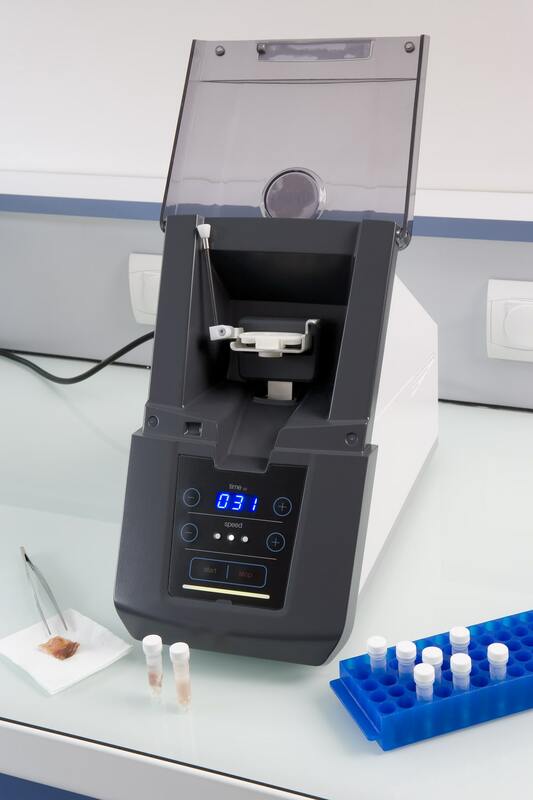 Minilys homogenizer is ideal for daily lab workflow. 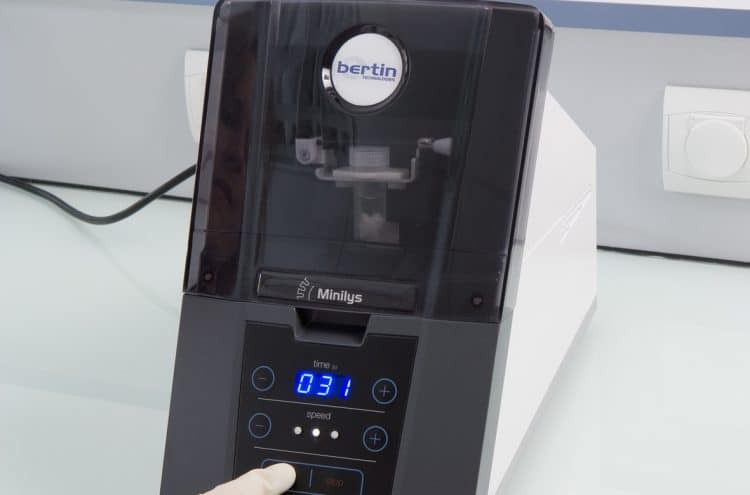 Associated with the appropriate lysing kit, Minilys can even grind difficult samples like grains or hairs. Minilys offers the possibility to process either 3 x 0.5, 1.5 or 2mL tubes at once or 1 x 7mL tube. With only two parameters to choose from (speed and time) the Minilys is operational immediately. The non screw-in system to block the tubes makes the Minilys easy-to-use. 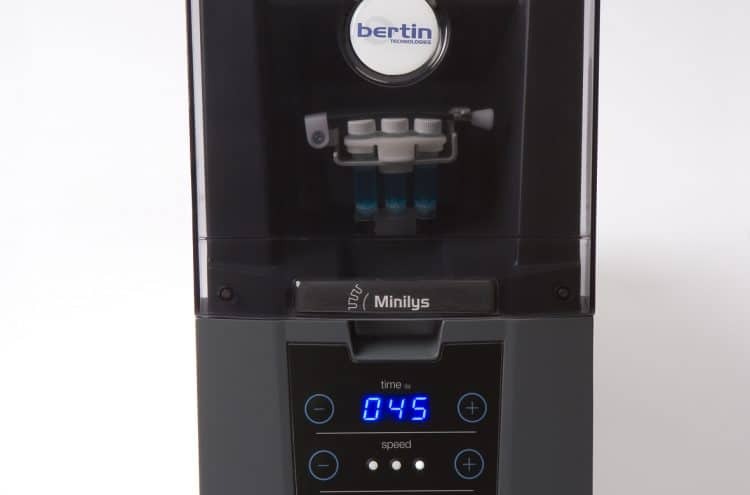 Minilys is the only small homogenizer based on 3D motion that reaches 5 000rpm. 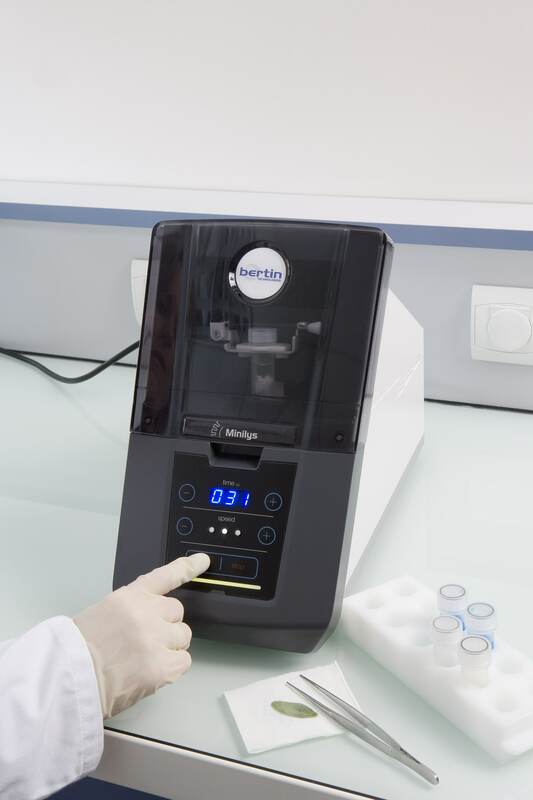 This speed allows users to grind even hard samples like skin or hair. 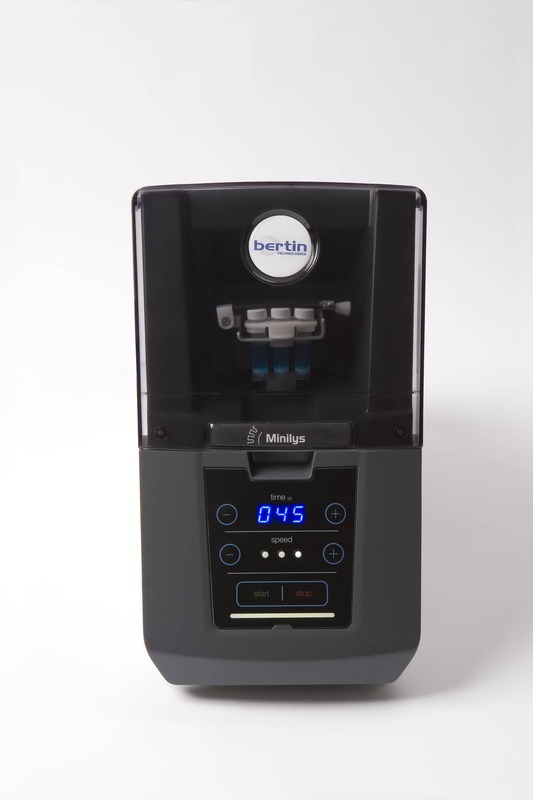 The Minilys is the only personal homogenizer based on a 8-figure 3D-motion (multi-directional) movement of the tubes. The same high level of energy given to the beads inside each tube ensures equal homogenization efficiency for all processed samples. Thanks to this complex movement, the Minilys can disrupt any type of sample (even the hardest) in seconds with perfect reproducibility while limiting heat generation. The system used to secure the tubes is manual and very easy to use compared to a screw-in system that can be awkward. Abstracts of some application notes related to Minilys. Register for the Application Center and access more than 1000 scientific references. Microtube adapter set: This option for Minilys allows users to process up to 3 microtubes of 1.5mL at once. 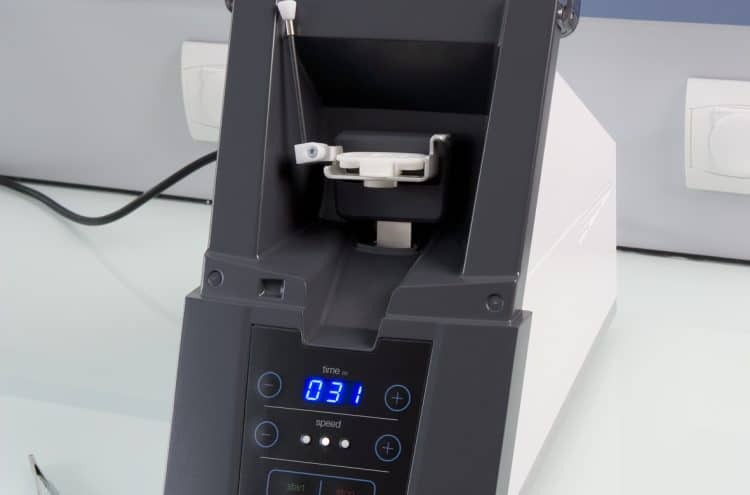 Small and compact, Minilys tissue homogenizer requires minimal bench space in your laboratory. "Need to work on hard samples with Minilys? Check out the lysing kits containing ceramic beads of at least 5.0mm"
We have planed to analyze a specific protein in mouse skeletal muscle to study the effect of a treatment . We had about 50 samples to analyze, and the protein is sensitive to proteolysis. Thanks to the Minilys it has been possible to performed this experiment and to produce high quality homogenates, without degradation. We can have performed the quantitative analysis and show a nice kinetics of degradation of our protein due to the treament of the mice and not to the processing of the samples!